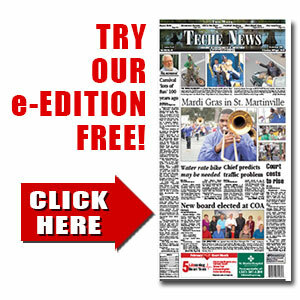 Esperanza Gonzalez | TecheToday.com | Teche News | St. Martinville, La. Breaux Bridge – A funeral service was held on Monday, Nov. 13, 2017, at Pellerin Funeral Home for Esperanza “Hope” Lopez Rios Gonzalez, 89. She is survived by her daughters, Lydia, Odelia and Suzanna Gonzalez, Mrs. Paul (Sylvia) Swartz and Mrs. Richard (Carolina) Noland; nine grandchildren, 18 great-grandchildren and one great-great-grandchild. She was preceded in death by her husband, Crispin Gonzalez; her sisters, Lenora Vasquez, Olivia Rivera and Christina Gutierrez; and her brother, Alfredo Rios. Pellerin Funeral was in charge of arrangements.